Eugene has asked Endor Base to join the CCG for this event. 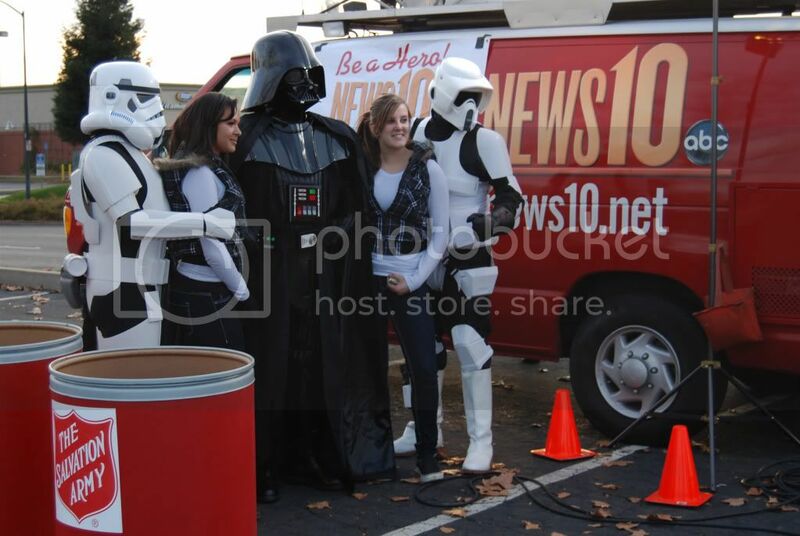 News10 has invited us to help again with this year's Coats for Kids. Please respond as soon as possible, so I have an idea of whom I may expect to participate. Please post what costume you plan to wear. We expect to have our usual changing space in the mall's maintenance area. This area can be accessed by a back entrance near section K11. Remember to dress warmly. Thermal undergarments are definitely a great idea. Just a quick update. This event will take place rain or shine. News10 said they'll have tents set up for inclement weather if needed. I'll wear my x-wing costume. Awesome Tina! Glad you're coming out! The changing area has been moved to the SUNRISE MARKETPLACE BUSINESS OFFICE. This office is located at the south side of the Sunrise Mall, between the back doors of Sears and DeVon's Jewelers. The business office is located within the mall. The easiest place to park, according to Sunrise Mall management, is going to be near the LaBou Cafe or the southeast corner (rear) of the mall. If you have any question about the changing area, please call me. Thank you, Tina, for making it out to this event! 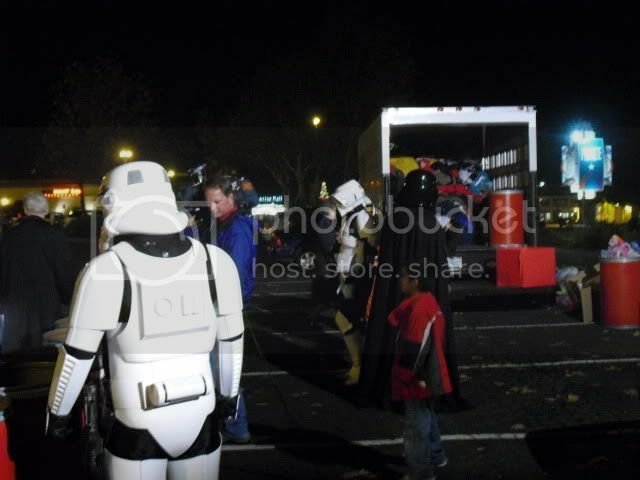 For the third year in a row, members of the Central California Garrison and Rebel Legion's Endor Base participated in the Coats for Kids donation drive in Citrus Heights, California on December 16, 2009. This annual donation drive provides coats for families in need during the winter season. Media coverage of the members helped draw people to the chilly donation drop off point at Sunrise Mall. 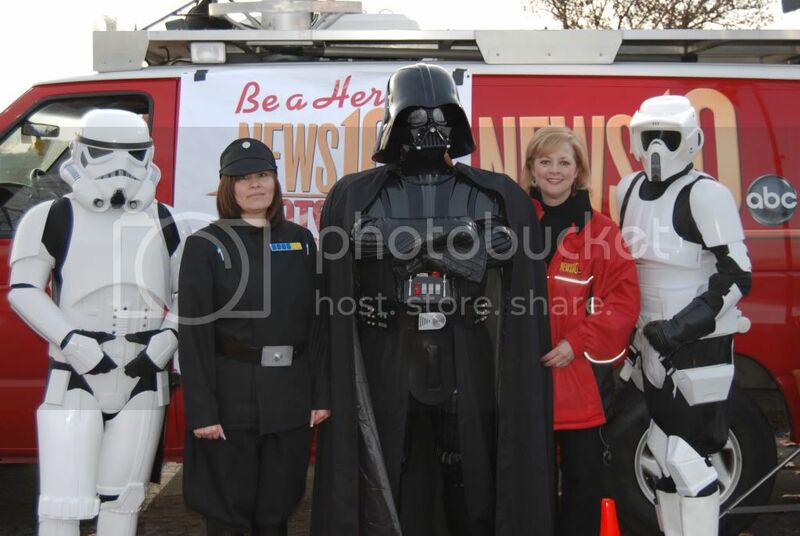 Kids and adults alike were thrilled to see their favorite Star Wars characters during this truly worthwhile event. 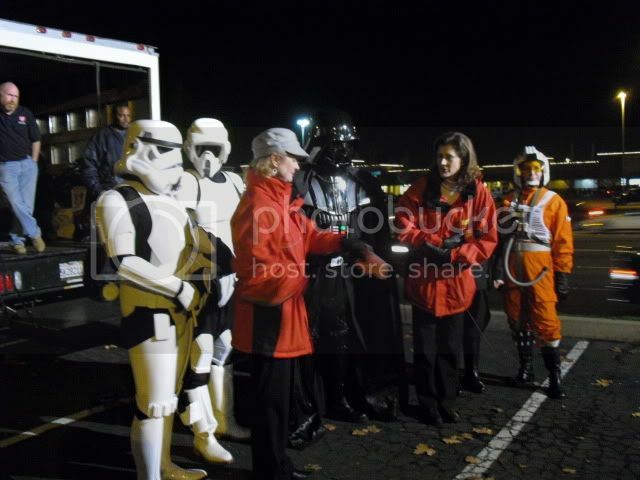 As always, the troopers were more than happy to pose for photos with the folks who came out to give. John (SL-2294), Mary (ID-7368), Refugio (TB-7375), and Sterling (TK-6991). Tina from Rebel Legion's Endor Base trooped this event in her X-Wing Pilot costume. The troopers can be seen in this news clip. Nice work everyone! And thank you Eugene for inviting the Rebel Legion along.